What is the Y2 Entrepreneur Conference? The Y2 Entrepreneur Conference is a two-part event where high-school students between 12 and 18 years old learn how to bring an innovative idea from concept to customer validation to pitch presentation. Supported throughout the conference by a dedicated coach and 3 workshops, teams articulate their value proposition, validate their product or service with potential customers, estimate financial performance, and present to a panel of judges. ​The top-2 teams are awarded dinners with experienced entrepreneurs that will help them continue to learn on their entrepreneurial journey. Whether participants show up with an idea, come up with an idea during the conference, or join another team with a great idea, everyone has the opportunity to build skills needed for any future - in a large organization, in a smaller one (including your own), or in a school club (and anything in between). Watch for yourself! The final presentations from both conferences have been posted on YouTube. Here's an example - from Candy Cutlery! Has Y2 had Any Impact? There have been more than 100 participants in Y2, and they've worked with more than 60 volunteer entrepreneurs from across York Region and the Greater Toronto Area (GTA). At least two of the teams have found further success after Y2. 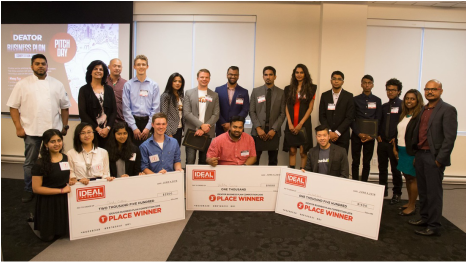 Proxi-Meet (Oct 2015) went on to win (placed in the top 6) the Ontario Centres of Excellence’s “Make Your Pitch” competition, which earned the team a $3000 grant and a place in the Summer Company program (you can watch their finals pitch here). Candy Cutlery (April 2016) went on to win the Ideal Incubator’s Business Plan Competition, which earned the team $2500 in seed money. "Out of all the pitch competitions I've organized or participated in, Y2 had by far the best network of judges and mentors.... I made some amazing new friends and learned a ton." "...it was one of the best and most well-run conferences I've attended. I truly learned a lot, and I will promote this to my friends. My team and I all left Seneca last night in both appreciation of the mentorship we've received from all the coaches,…"
"I really want to thank you for organizing the Youth for Youth conference in the previous weeks. It opened my mind and allowed me to learn a lot more about Entrepreneurship! So many people dedicated their time over the weekends to help students like us build, achieve and have experiences that will last with us. I hope these events happen will happen more often - I'd be happy to assist if you were to need any help!" The volunteer entrepreneurs have also been inspired, as evidenced by the high number of repeat volunteers in the 2nd conference. One of the "prizes" (who one of the winning teams sat down with over a meal, for further mentoring - access that typically doesn't happen for high-school students) published a piece on his company website about why he volunteered his time at Y2 - you can read Akshay Kalle's thoughts here. Chris Dudley, HELIX and Seneca College were essential to making the vision of Y2 come alive. Chris (who leads Seneca's on-campus incubator, HELIX) was supportive from the very beginning, being a sounding board with the initial idea, and then generously offering Y2 space (and his general support) for both conferences. We could not have come alive without Chris Dudley and Seneca College. For that, we are very grateful - thank you Chris and Seneca! ​Y2 was created by 5 people with very different backgrounds and situations. While our individual stories vary, we found common ground in our wish to help motivated teens build life and professional skills. 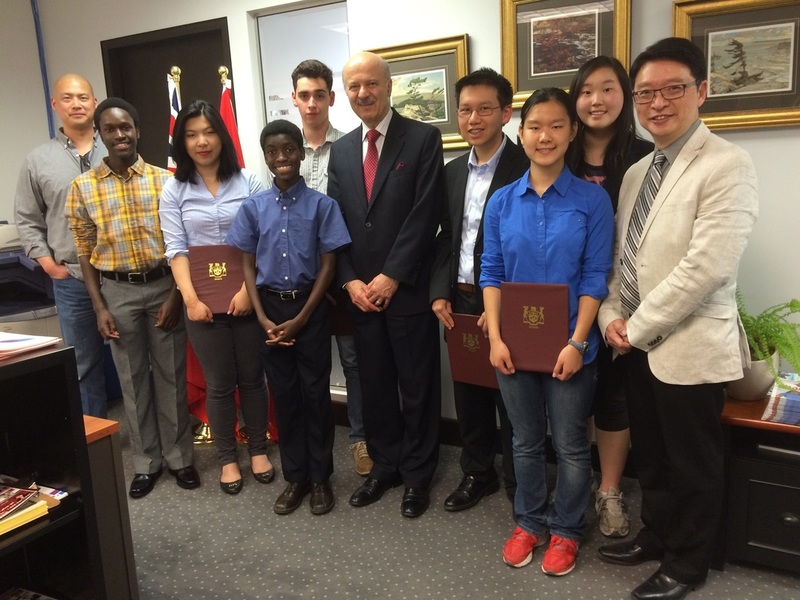 ​When we looked across the Greater Toronto Area (including York Region, Peel Region, Durham Region and so forth), we saw a need for teens to work directly with entrepreneur mentors to help their personal development. We decided to put a conference together that mixed teen creativity and imagination with the experience of people who run their own businesses today, with some sprinkling of formal training (design thinking, building an investor pitch, and effective public speaking workshops), and see what happened. Participants - students and volunteers alike - have been inspired to pursue their business ideas. The students have learned frameworks to help articulate and develop their ideas - helped by the experiences of entrepreneurs carrying battle scars. And that's why we do this - to bring remarkable people together for remarkable results. 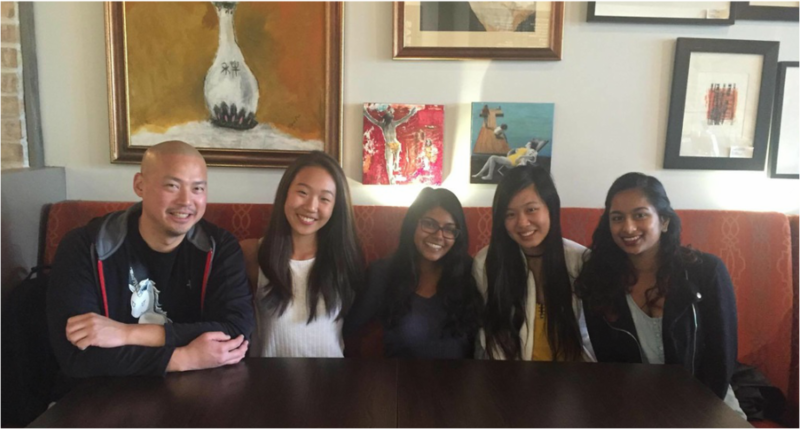 Y2 co-founders Lucas, Susie, Muskan, Diane and Samantha. Want more information about Y2? Email us, look us up on Facebook, follow us on Twitter at @y2labs, or text or call us at 416 888-4582!